Over the last 6 1/2 years of blogging, I have tried A LOT of different products. It is my passion to try different products and after trying thousands, I have come up with a list of my favorite ones. I will be highlighting these in a new series here on the blog. These are products that I have been using for years and love. They are ones that I have continued to purchase with my own money long after I have done reviews of them. Hope you enjoy! Thanks to Amber from Metro Detroit Mommy for organizing an awesome blogger meet-up at Noodles and Company! We got to go and try most of the menu items which was so much fun. I ended up loving their two new salads the best out of everything. 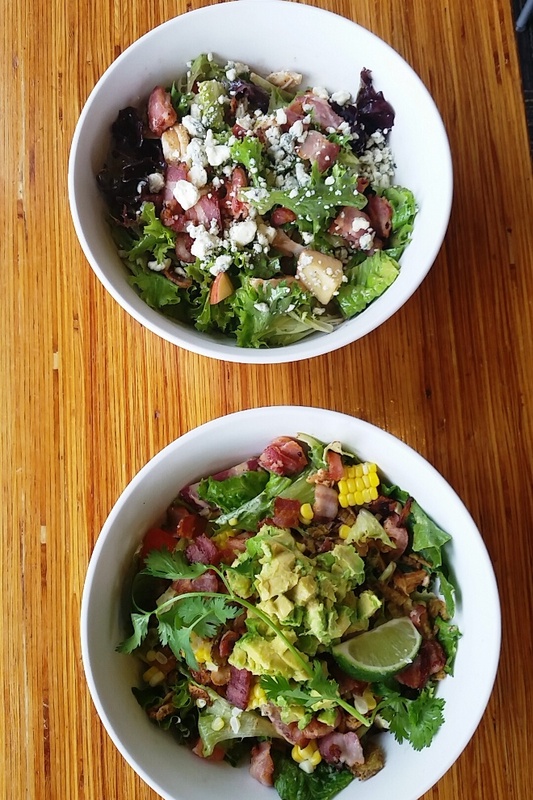 They are the Chicken Veracruz salad with avocado, fresh corn, bacon and more and the Napa Market Salad with chicken. I would order either of these again. I also loved the Korean BBQ meatballs and the pesto cavatappi a lot. It was fun to get together with the other bloggers and try everything. I can't wait to come back with my family! 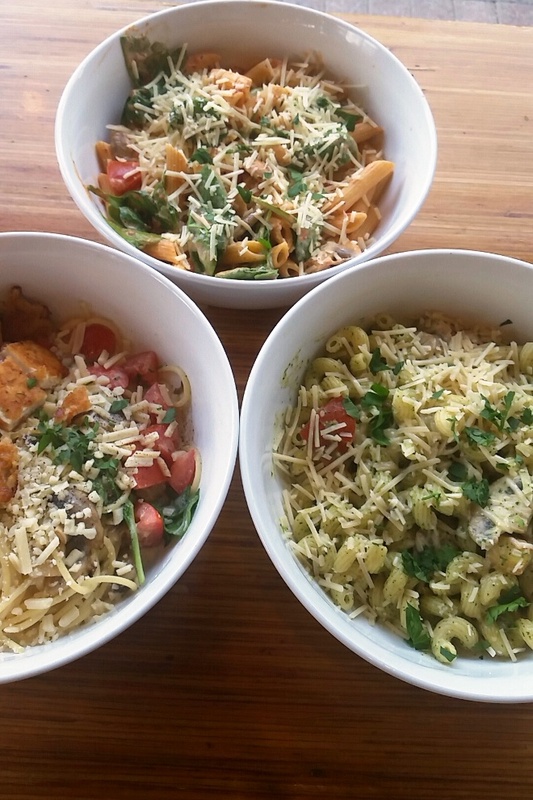 **Keep reading for a Noodles and Company giveaway! One of my favorite snacks ever is BOOMCHICKAPOP popcorn. When I am trying to be healthier, I love the lightly sweet popcorn. If I want to be a little more indulgent, I go for the kettle corn. I had a bunch of it last night for a snack and I just love how it tastes. It is my favorite pre-popped popcorn. I think that popcorn makes a good snack because it can taste salty or sweet but is whole-grain, unlike most other salty or sweet treats. It is sold at many grocery stores, is affordable and easy to find. I have been wearing Coobie bras for years and love them. They are some of my favorite bras and are certainly the most comfortable. I gifted some of these to my sister years ago and we both love them. We always talk about how Coobie has the best bras and how comfy they are. I would say that they do not provide a ton of support for larger chest sizes but for my size, they are perfect. I wore these often during my pregnancy and for nursing and they were perfect. They are great for low-impact workouts. Coobie bras are very affordable and often are buy one get one free which is when I stock-up. 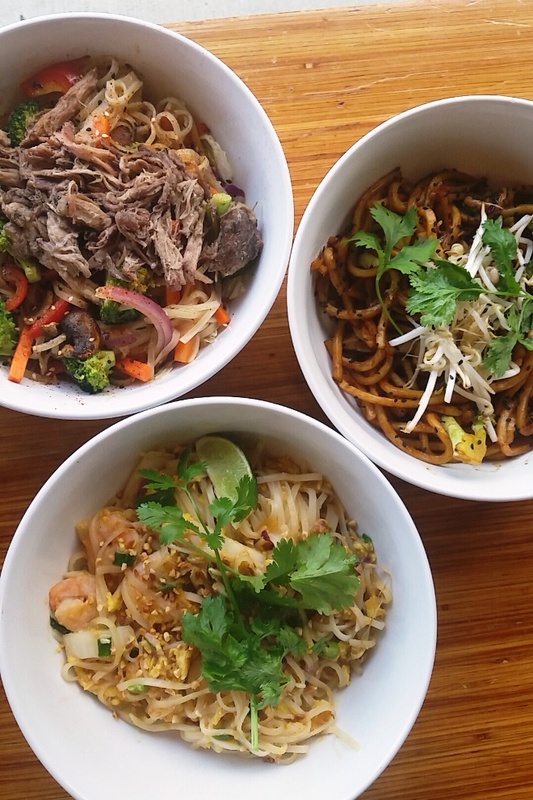 The giveaway will be for one free bowl a month at Noodles and Company. I love the Bangkok Curry at Noodles & Co.!! I would try the Noodle and Company, since there is one not too far from me. The chicken Veracruz Salad from Noodle and Company sounds interesting! Your posts inspire me to try new recipes and foods. I'd love to try the Chicken Noodle Soup! I would definitely love to give their Chicken Veracruz Salad - It looks AMAZING! Thank you so much for this fantastic opportunity. Ooh that Napa Market salad looks so good... :) I love Noodles & CO! I would try the pad thai! !